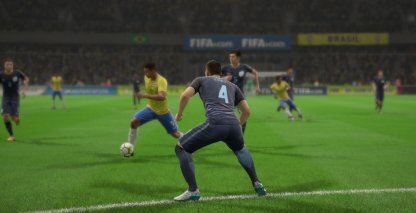 Get an edge over your competition with FIFA 19's D Pad tactics! Tweak your strategies further to play better & outscore your opponent in the field. 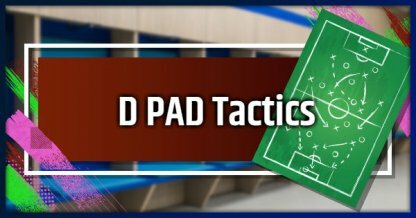 D PAD Tactics are used during the match to further adjust your offensive and defensive strategies depending on your situation. Main strategies are set before the match, but switching can be done on-the-fly with the D PAD. 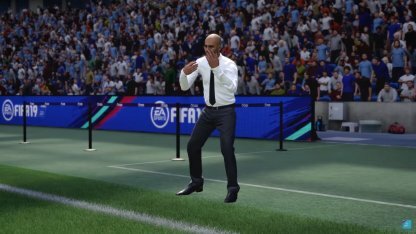 Depending on what you plan to do, you can choose between Attacking or Defending Tactics via the UP or DOWN Buttons respectively. Controls may vary for D PAD Tactics depending on your console. 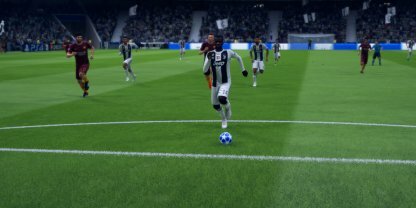 Get in the box will make more players get inside the opponent's box or goal area to increase the chances of your players having an attempt to score a goal. Make your Full Back Players go on the offensive with this tactic to add more threats against your opponent! Remember to have Full Backs with good offensive skills if you are planning to use this tactic. You can also use this at a corner kick chance. This strategy will make some of your players stay close to the sideline when attacking. You can use this tactic when you plan on doing a side attack for your offense. This tactic, like the name suggests, will make another player take on the role as striker, giving the opponent more things to worry about! This tactic will make your Strikers provide assistance when you are defending against the opposition. When you want to make your team super defensive, this is the option. The team press will make your team apply constant pressure to the enemy ballhandler. Be careful when using this position as it could leave a lot of open space that the enemy can pass to! This tactic will position a lot of your players on the side of the pitch where the ball is located. You can use this to defend against side attacks. Be careful as this leaves the other side of the pitch open for a lob pass! Move up your defenders along the pitch to turn through ball passes by the enemy to offsides. Be careful as wrong timing can leave your opponent with no defenders blocking him from the goal! Changing your gameplan will change the way your AI-controlled teammates approach how they play the game. These game plans put emphasis on whether you prioritize attacking or defending.